Spirax 56194P Exercise Book is made using only the best quality products to ensure your school notes are kept neat and protected. 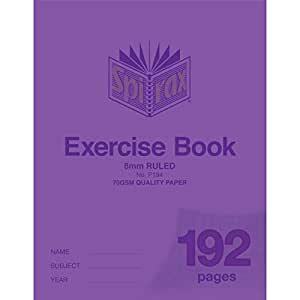 All Spirax exercise books are staple bound which means they can easily lay flat. Minimum order quantity: 5. Available in 192 pages. Measures 175 mm length by 10 mm width by 225 mm height.